Another recipe from http://www.alldayidreamaboutfood.com. This recipe yields approximately 10-12 pancakes. I sometimes double this recipe because they are so good, even as a snack or for breakfast the following day. The net carb count is 3.5 g per 2 pancakes. 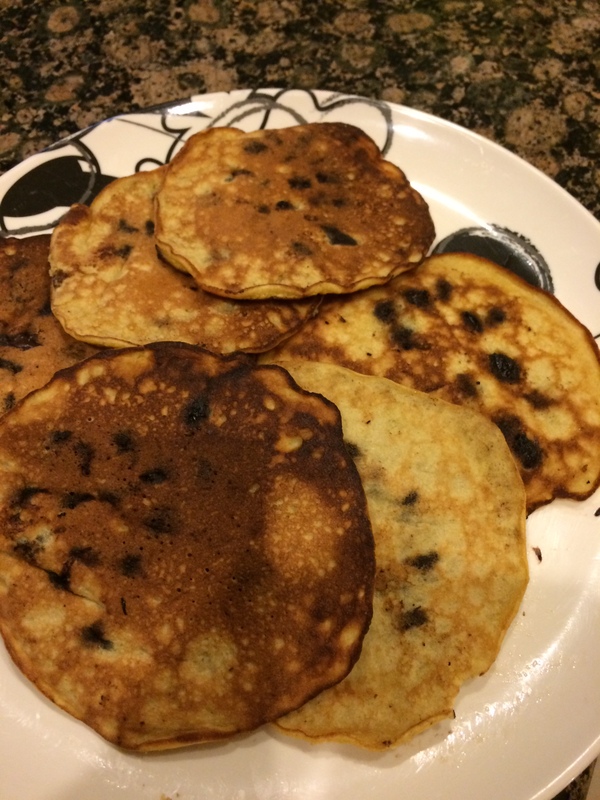 I usually add sugar-free chocolate chips (which adds another carb or two to each pancake). Preheat oven to 200F (optional). In a large bowl, whisk together coconut flour, sugar substitute, baking powder and salt. In a medium bowl, whisk together eggs, melted butter, almond milk and vanilla extract. Add the mixture to the coconut flour mixture and stir well to combine. (Make sure to smash clumps.) Add sugar-free chocolate chips, optional. Heat a large skillet over medium high heat and brush with vegetable oil or melted butter. Scoop two heaping tablespoons of batter onto skillet and spread into a 3 to 4 inch circle. Repeat until you can’t fit any more pancakes into the skillet (you should be able to get 3 or 4 in).